Dr. Humason received his Bachelor of Arts in Animal Husbandry and his DVM from U.C. Davis in 1957. 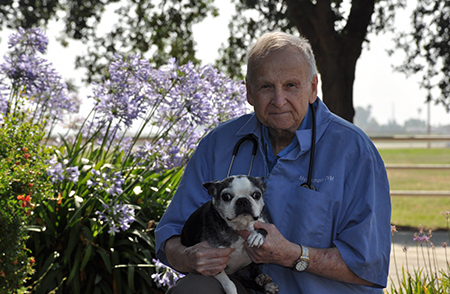 He worked for two years in Dinuba before buying Kaweah Veterinary Clinic in 1959. In 1974 he started what is now Lone Oak Veterinary Clinic. 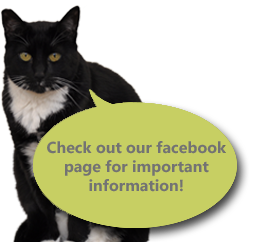 He is a member of the American Veterinary Medical Association (AVMA), the California Veterinary Medical Association (CVMA), and the Tulare-Kings Veterinary Medical Association (TKVMA). After raising 5 children, he keeps busy with his many talents including being an artist, writer, handyman/constructor, and farmer. Look for his paintings on walls throughout the clinic. He lives with his two Boston Terriers, “Emiley” and “Lovey”.